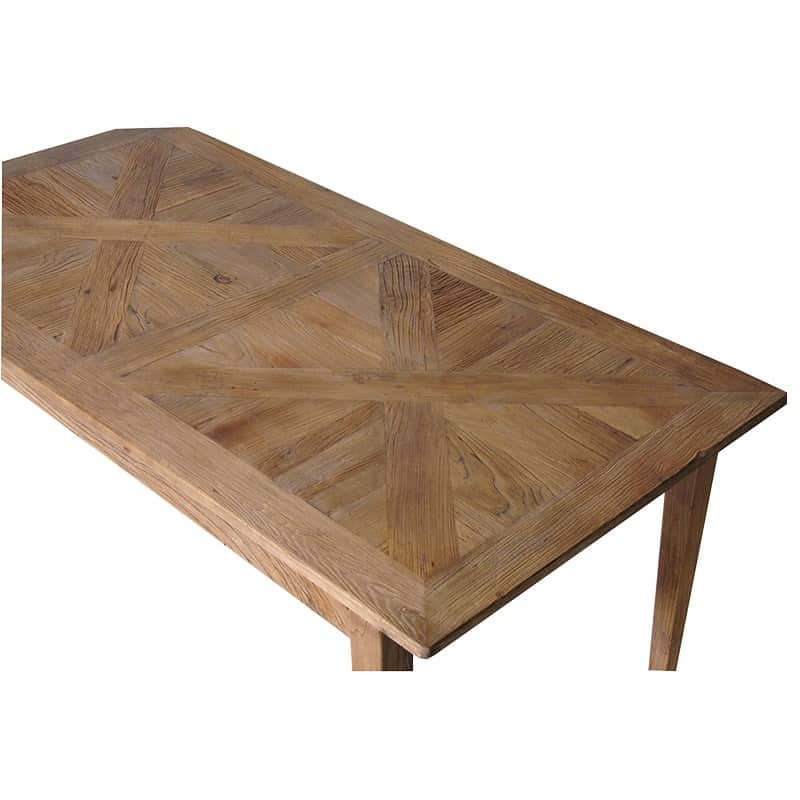 The Beautiful Parqueterie Dining Table is a light oak wooden piece with Beautiful textures of oak through-out this table it is certain to lighten up the dining room bringing the elegance touch of a simple wooden design to the room. This set includes the Dining Table 150cm x 90cm which extends to 200cm and 6 x Wooden Slatted Back Upholstered Dining Chairs. This set includes the dining table 150cm x 95cm, 2 x Dining Chairs plus a dining bench 140cm x 35cm. Larger table set is also available along with matching sideboards, or open shelving unit. Make sure you take a look at the rest of the range. 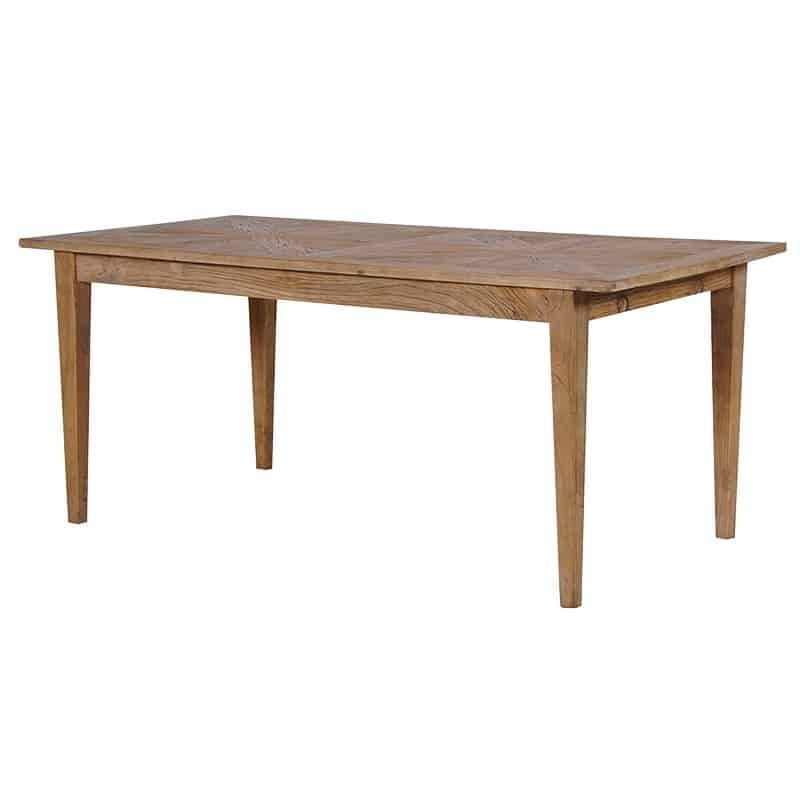 This Stunning Time Worn Dining Full Set is characterful, stylish and made from reclaimed materials. With its on-trend distressed white/off white painted finish, this dining set would perfectly adapt itself into any modern dining space as well as seamlessly blend into a country styled home. Versatile and gorgeous, the time worn collection will transform your home. Marry the Purbeck Dining Chairs with the Purbeck Extending Dining Table for a classic family Dining set or combine with the practical Bench for a uniquely stylish dining set. The Boston Industrial dining table is made from mosaic block wood top on cast iron frame. Stunning industrial look and very solid. Thick block wood top made from aged wood is a feature of the table in a mosaic style. 180cm size would comfortably seat up to 6 people. This Steel and wood refectory table can carry itself in many different decor themes, making it a piece that you can keep with you for a lifetime without having to change it.